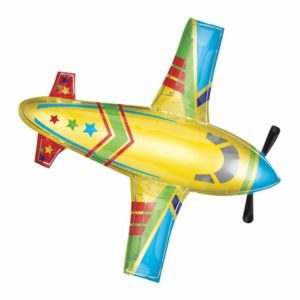 32″ Airplane Giant Shape Foil Balloon. Suitable for helium inflation only, please see our range of disposable canisters. Balloon supplied flat. 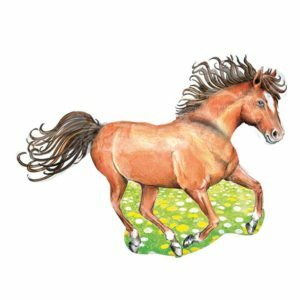 32″ Charming Horse Giant Shape Foil Balloon. Suitable for helium inflation only, please see our range of disposable canisters. Balloon supplied flat. 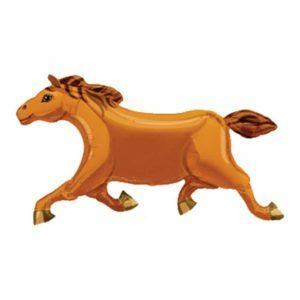 32″ Chocolate Pony Giant Shape Foil Balloon. Suitable for helium inflation only, please see our range of disposable canisters. Balloon supplied flat. 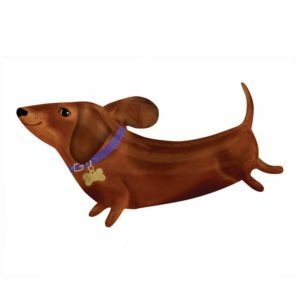 32″ Dachshund Giant Shape Foil Balloon. Suitable for helium inflation only, please see our range of disposable canisters. Balloon supplied flat. 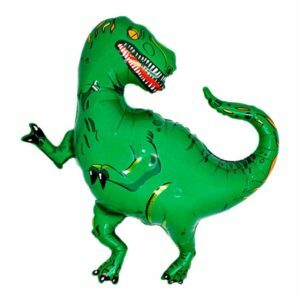 32″ Dinosaur Giant Shape Foil Balloon. Suitable for helium inflation only, please see our range of disposable canisters. Balloon supplied flat. 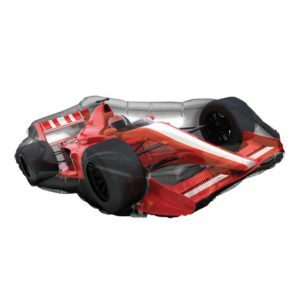 32″ F1 Race Car Giant Shape Foil Balloon. Suitable for helium inflation only, please see our range of disposable canisters. Balloon supplied flat. 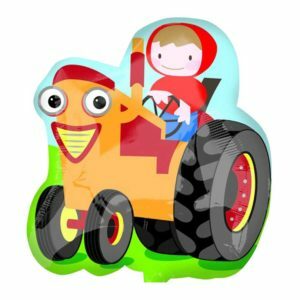 32″ Farm Tractor Giant Shape Foil Balloon. Suitable for helium inflation only, please see our range of disposable canisters. Balloon supplied flat. Sold individually. 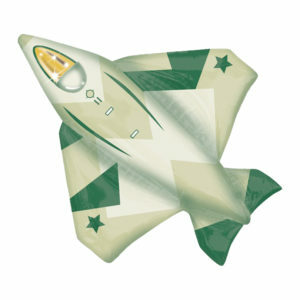 32″ Fighter Jet Giant Shape Foil Balloon. Suitable for helium inflation only, please see our range of disposable canisters. Balloon supplied flat. Sold individually. 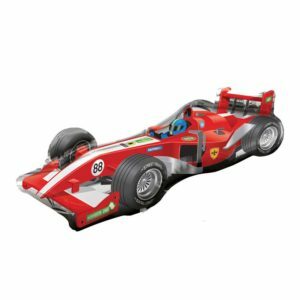 32″ Formula One Giant Shape Foil Balloon. Suitable for helium inflation only, please see our range of disposable canisters. Balloon supplied flat. 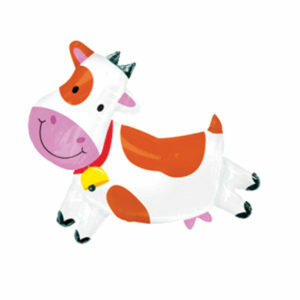 32″ Friendly Cow Giant Shape Foil Balloon. Suitable for helium inflation only, please see our range of disposable canisters. Balloon supplied flat. 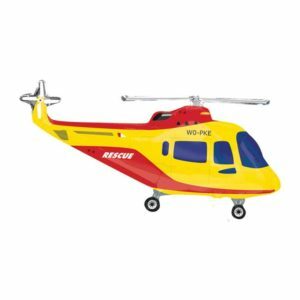 32″ Helicopter Giant Shape Foil Balloon. Suitable for helium inflation only, please see our range of disposable canisters. 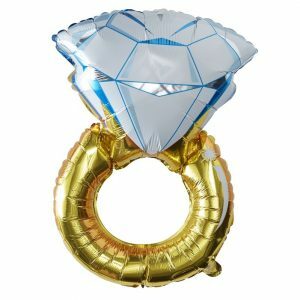 Balloon supplied flat.